Bridgeport, CT...The Art Department of Housatonic Community College presents nationally renowned artist, Everett Raymond Kinstler to speak in Room 514 of Beacon Hall, 900 Lafayette Blvd, Bridgeport, CT on Monday, February 10, 2014, 5 – 7 pm, free and open to the public. 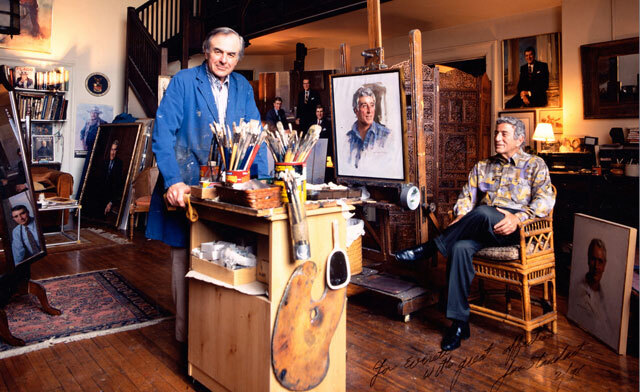 Kinstler will talk about a career that began with comic book and magazine illustration and culminated in his becoming one of the nation’s foremost portrait painters. Visit www.housatonic.edu for further information or call (203) 332-5116.